Cycling is one of the most popular pastimes in the world, but it’s not always about having fun. 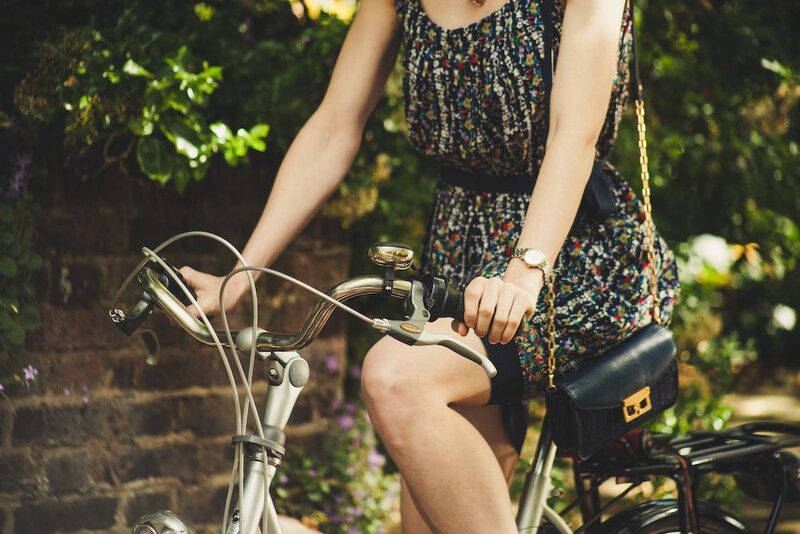 There’s a very serious aspect to consider when it comes to traveling by bicycle: safety. No matter if you’re hurtling down dirt tracks or riding on the road, there are some basic safety essentials that you will need to address if you want to remain as safe as possible. No matter your age or your bike-riding experience, forgetting about safety for even a moment can have serious consequences. Make sure that you are protected and safe at all times by following this checklist of cycling safety tips. 1: Get the right bike: Your height will determine the correct size bike frame you need. Having the wrong sized bicycle will reduce your control and your handling. 2: Bike check: Before you set off on your wheels, make sure that all of the nuts and bolts are secure, and check your tires as well. Test your brakes are working, and that your pedals are not loose. 3: Use lights: Lights on your bike are essential, and you should use them during the day as well as in the evening. Lights aren’t just there to help you see; they are also there to help you be seen clearly by other road users. 4: Bright clothing: Preferably, you should wear high-visibility clothes if you’re cycling near other vehicles. A high-vis vest can be thrown over your clothes quickly and has a dramatic effect on your roadside visibility. 5: Wear a helmet: While most people are aware of the need for a helmet when cycling, it’s easy to buy the wrong one. Make sure that your helmet is the right size. When stats show that a helmet can reduce head injury seriousness by 50%, you want it to be as well-fitting as possible. 6: Know your rights: Accidents happen, and if you do get injured through no fault of your own, you may be entitled to financial compensation. Speak to legal professionals who have experience with bicycle accident claims, with the experts at www.the-compensation-experts.co.uk able to guide you through the process. 7: Know your journey: If you’re cycling in an unfamiliar area, make sure that you map out your route beforehand. Use Google Maps or MapMyRide to plan out the best way for your skill and fitness level. 8: Avoid rush hour: Patience on the roads for drivers is at its lowest when people are rushing to and from work. These are the times of day when cyclists are the most likely to have an accident. If you can avoid these times of day, the safer your cycling will be. 9: Lose the headphones: While it’s great to have your favorite songs playing as you zip along, it’s also incredibly dangerous. As a cyclist, you need to be very aware of your surroundings at all times. Not being able to hear vehicular activity outside of your line of sight is asking for an accident to happen. There are alternative options, but for maximum safety, you should always prioritize awareness over entertainment. Cycling is good for you and can be great fun too. Make sure that you focus on safety, and you will have a much more enjoyable biking experience. Protect yourself from potential danger, and you could be riding your bike more than you ever used to drive your car.